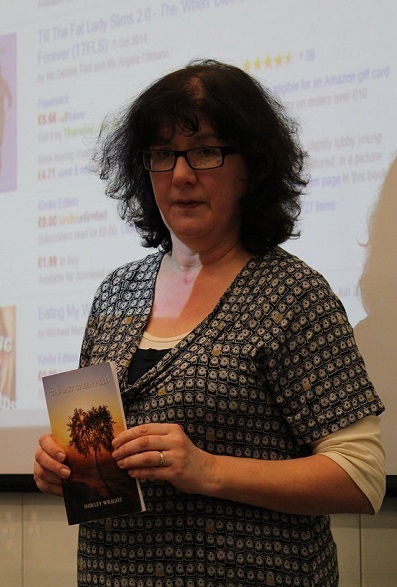 Debbie Young from The Alliance of Independent Authors (ALLi) was our guest speaker on 27 January. Debbie is an established author and advocate of self publishing. She started out in journalism, moved into PR and now self-publishes short stories, non-fiction and author advice as well as writing a lively blog and working for ALLi. Her talk focused on how authors can use self-publishing to their best advantage. She highlighted the benefits of creative control, print on demand and profit margins. Debbie gave many excellent tips including the importance of the various types of editing, using beta readers and the advantages and dangers of author services. She emphasised the importance of marketing and the use of blogging and social media to reach potential readers. This entry was posted in Winchester Reading Series 2015 and tagged Alliance of Independent Authors, Debbie Young, self publishing by Kath Whiting. Bookmark the permalink.